This post is a summery of an article published by Nat Geo in 2017 and you can find the entire article here which I highly recommend! I am writing about it and sharing it here because I just posted about a truly awesome project that happened to open grand opportunity to me in an extraordinarily synchronistic way. If your inspired by this Nat Geo article I go over here then be sure to read the article I posted earlier as it takes this project to a whole NEW level of awesomeness! This just goes to show we already have the technology in this world to revolutionize the agriculture system we have simply lacked the dedication. This is because the world has given over most of all the food production to greedy mega corporations. Yet this has put the world in a dangerous place where sickness and disease is rampant due to pesticides, fertilizers, hormones and herbicides. Obesity and over all bad health from nutrition less food is ever growing and the soil and fresh water are being depleted and polluted. Its time for a change and hope that what is PROVEN by this article will inspire people around the world to get on board with a better solution for all! "One more reason to marvel: The Netherlands is a small, densely populated country, with more than 1,300 inhabitants per square mile. It’s bereft of almost every resource long thought to be necessary for large-scale agriculture. Yet it’s the globe’s number two exporter of food as measured by value, second only to the United States, which has 270 times its landmass. How on Earth have the Dutch done it?" It just shows again what awesome potential we as creators have when we come together for common purpose and dedicated to solutions! I won't get into how sad it is that the Dutch have such stats in comparison to America with so much less land and money. "These climate-controlled farms enable a country located a scant thousand miles from the Arctic Circle to be a global leader in exports of a fair-weather fruit: the tomato. The Dutch are also the world’s top exporter of potatoes and onions and the second largest exporter of vegetables overall in terms of value. 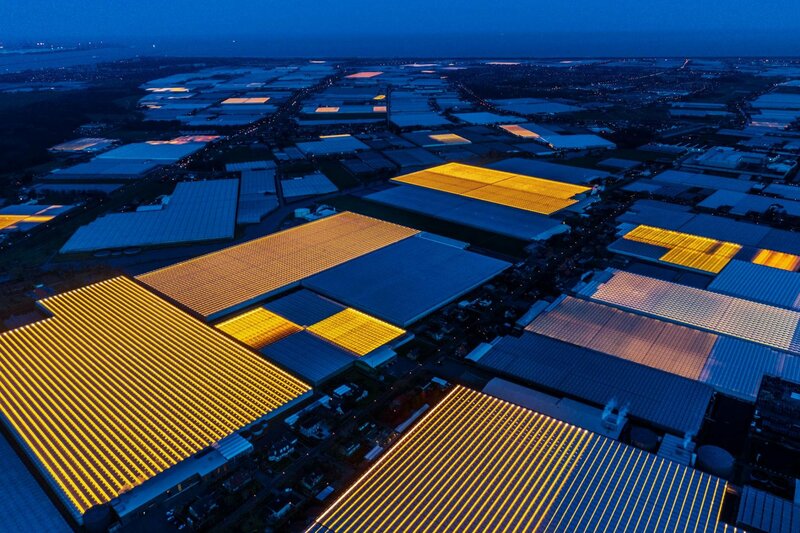 More than a third of all global trade in vegetable seeds originates in the Netherlands." Yes despite their non ideal location and small land mass they are producing more than most countries in year around growing climates with LESS resources! Realistically speaking not only "should" we be following the Dutch's lead on this, but we are at a point were we basically "HAVE TO"
"That’s because by 2050, the Earth will be home to as many as 10 billion people, up from today’s 7.5 billion. If massive increases in agricultural yield are not achieved, matched by massive decreases in the use of water and fossil fuels, a billion or more people may face starvation. Hunger could be the 21st century’s most urgent problem, and the visionaries working in Food Valley believe they have found innovative solutions. The wherewithal to stave off catastrophic famine is within reach, van den Ende insists. His optimism rests on feedback from more than a thousand WUR projects in more than 140 countries and on its formal pacts with governments and universities on six continents to share advances and implement them." The truth is that despite all the problems on this earth there are real, practical effective solutions. It really just comes down to making a choice to be dedicated to solutions in the best interest of sustainable thrival and so shall it be. This is true not just for the agriculture/food industry but all aspects of life. I hope you are inspired by this article and if so be sure to read the entire article Nat Geo posted here. It really is worth a read. Then also check out the post I posted earlier today here.Its about a project that came to me very synchronistically and is taking the realities of this article to a whole new level.